Solvay has started hydrogen peroxide production at its new plant in Zhenjiang, China. 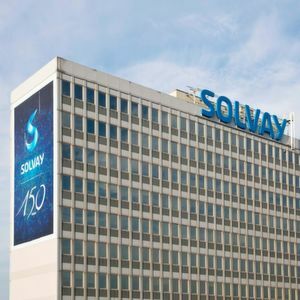 Zhenjiang/China — This plant has a capacity of 60,000 tonnes per year and will meet the growing local customer demand and in order to supply Solvay's own businesses in the semi-conductor and flavor industries. The company's Peroxides Global Business Unit (GBU) built the plant in Solvay's chemical manufacturing platform located within Zhenjiang Green Chemical & New Material Industry Park. The platform already hosts two other GBUs, allowing all businesses at the site to benefit from shared infrastructure, logistics and services. The plant will serve the increasing local demand primarily for high-concentration and high-quality grades of hydrogen peroxide used in demanding applications within the chemical, electronics, water treatment and aquaculture industries. The plant is the first in China to use Solvay Peroxide's technology with improved efficiency, as well as reduced effluents and energy usage.